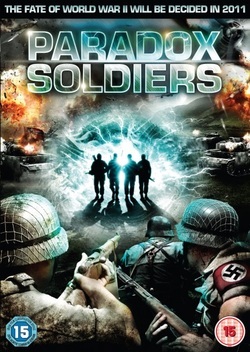 Paradox Soldiers is a rather entertaining sci fi/war movie with character development, high emotion, crises of conscience and a rattling narrative drive. It is also a Russian nationalist manifesto – the Muscovite characters are liberal and warm, the contemporary Ukranians are neo-Nazi bullies. What interests ‘mythogeography’ is the way that the movie explicitly performs the creation and performance of the past by the present. Once we have plunged back from the present day into the Second World War the film can construct contemporary attitudes (the civilising and unchosen nature of Russia’s invasive role in relation to its neighbours) in relation to the ‘moral landmark’ of Nazism. In turn the time travel element enables the movie to re-tell the past in the service of these contemporary attitudes; and the movie ‘blurts this out’ – through the emotional entanglements of the contemporary characters around the central female character who lives in 1944. ‘Heritage’ – the appropriation of the past – openly lays out its stall; an unintended effect of the combination of ideological production and a genre of excess and transgression.